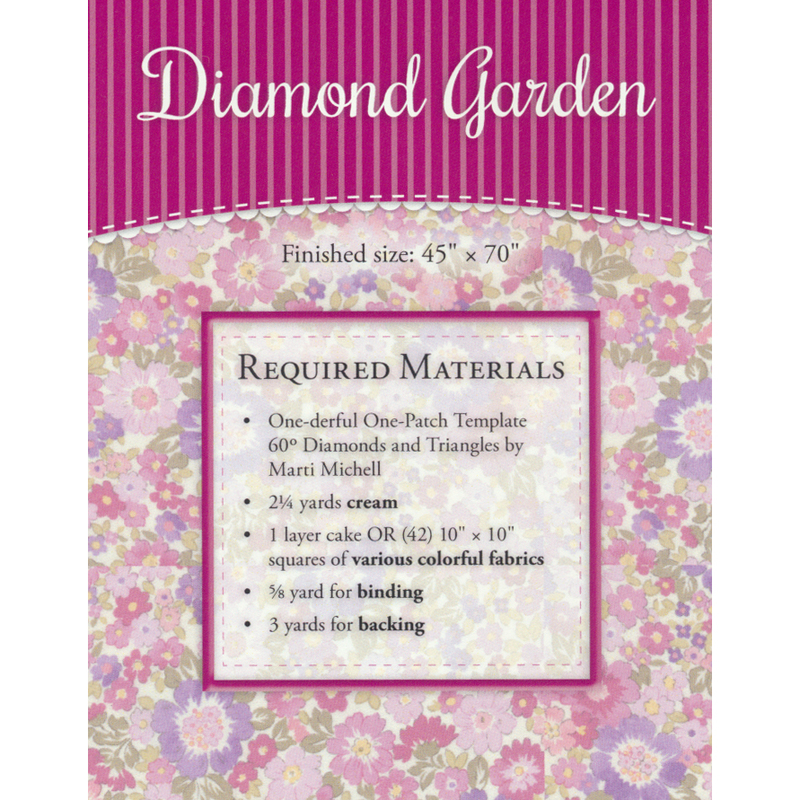 Bring your flowers inside with the Diamond Garden Quilt Pattern! Enjoy the splendor of vibrant blooms that really pop off a white background. Quilt finishes at approximately 45" x 70". The pattern includes the instructions and a diagram to complete the quilt. PLEASE NOTE! 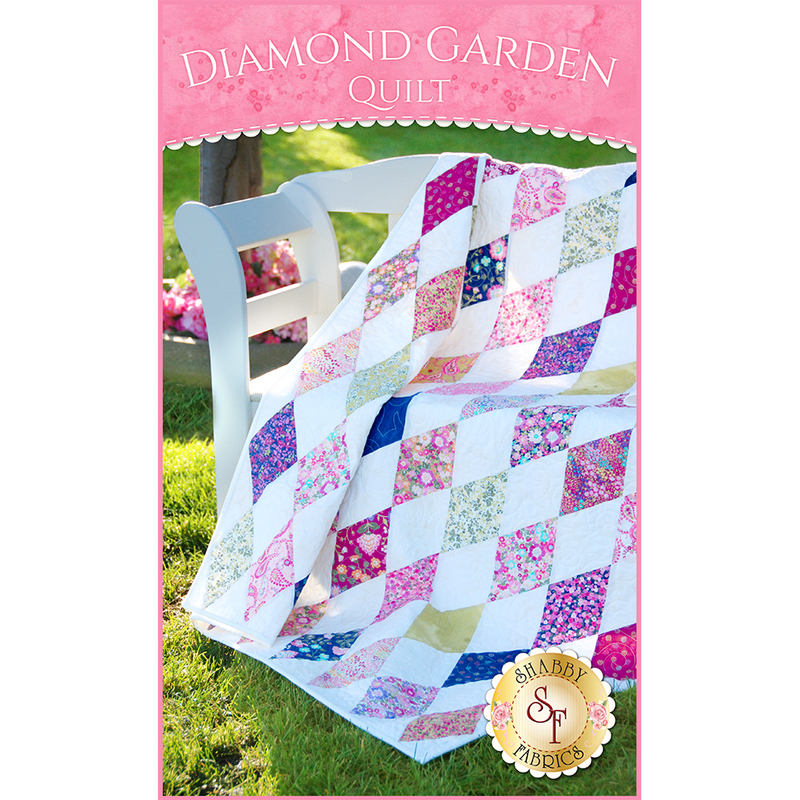 This quilt requires the One-derful One-Patch Templates - 60 Degree Diamonds & Triangles in order to complete it. Add this template below!